Just awhile ago, a distressed mother texted me. It's about her 17-year-old son whom she brought to see me for therapy. She said that her son, a former honor student, has withdrawn from school. He is now spending countless hours just watching YouTube videos daily at home. 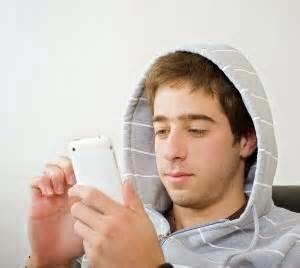 CNN 2018 edition reported on "Smartphones: New Teen Mental Health Crisis." It's based on a recent study published by the American Medical Association. It investigated the link between digital addiction and the mental health of thousands of teenagers. The study found a "statistically significant association." Teenagers who are heavily addicted to digital devices are more likely to become prone to psychiatric problems, according to the study. The researchers examined mental consequences of digital diversions. These include social media, streaming video, text messaging, music downloads, and online chat rooms. Teens with digital addiction showed psychopathology symptoms. Among symptoms identified are brain ADHD or patterns of severe inattention, hyperactive behavior, and impulsiveness that interferes with functioning or development.